You’d think for $6.9M everything would be “habitable.” Not at 219 Chestnut. The master bath doesn’t even have working plumbing. House is sold in as-is condition — which means it needs a ton of work but seller won’t fix anything. I mean behold the foyer you guys. Then gaze skyward to the rotunda. As our tour of this residence continues, you are invited to the formal dining room. And lastly, some other room… resplendent in white. 15 Barbara is a 3 bed/2 bath Cape with 1,400 sq/ft. The property description reads “West Newton Neighborhood Well Kept home in desirable Area.” That’s like worse writing than this blog. Photos aren’t much better. C’mon Babs. At least clean off the table. Maybe get the yard bag out of the dining room. I see a fridge & oven and whole bunch of crap so this must be the kitchen you guys. I mean the market is hot but not this hot. Can’t slap this on the ‘net and expect to get $945k. Or maybe you can? 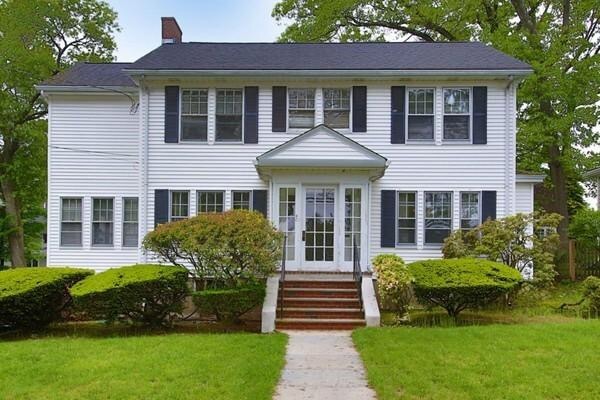 39 Adella is a 4 bed/1.5 bath Colonial with 1,973 sq/ft. I heard the owners decided to move after Adella’s block party on Saturday bombed. Can’t blame them you guys. America can only have 1 favorite street (.com). Not sure how many times I’ve blogged about the intersection at Fairway/Waltham/Derby but it’s a lot you guys. There have been over a dozen accidents at this intersection in the past 5 years. This was last January. And this was an OUI last November. Looks like the city might finally do something about. A public traffic council hearing is scheduled for this Thursday (22nd) at 7pm at City Hall (room 211). Don’t go to room 212 there’s no meeting there. The council is looking at installing a 4 way stop sign. Your attendance and support is appreciated. Block Party was lit you guys. Pizza, pork tenderloin, Maine Beer. Did I mention the ice cream truck? Thanks to everyone that showed up and made this a great party! 40 Randlett went under agreement yesterday and is scheduled to close early September. My guess is the new buyers will do some work on the house before they move in. So it’s gonna be a while til we have new neighbors your guys.